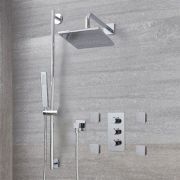 Deliver a touch of contemporary designer style and functionality to your bathroom with the Arcadia thermostatic shower system with 8” shower head and body jets. 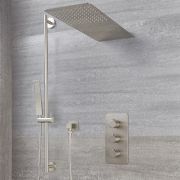 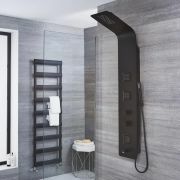 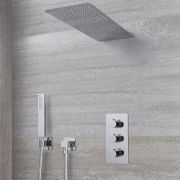 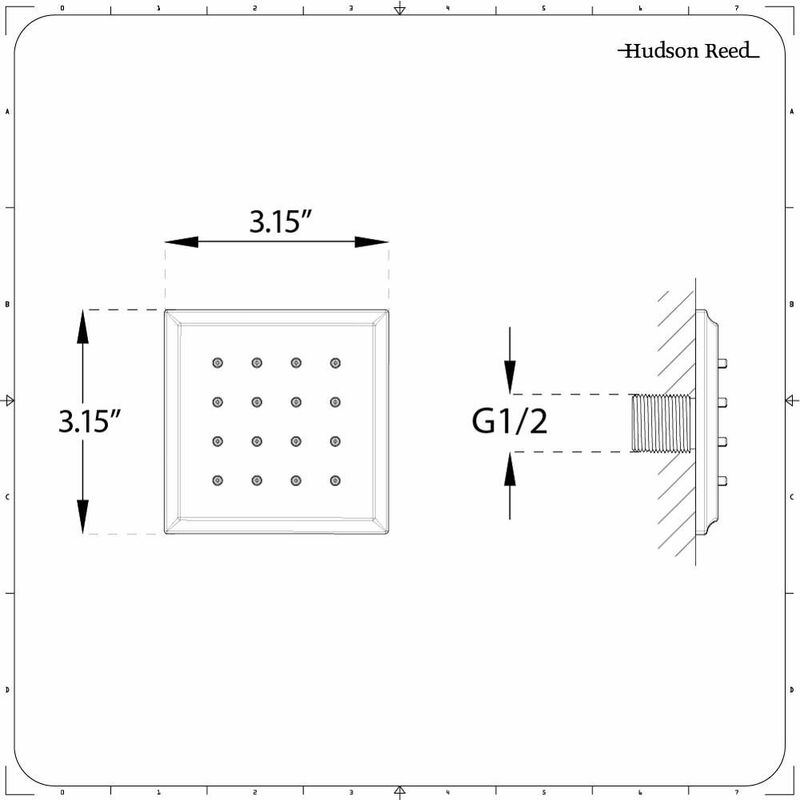 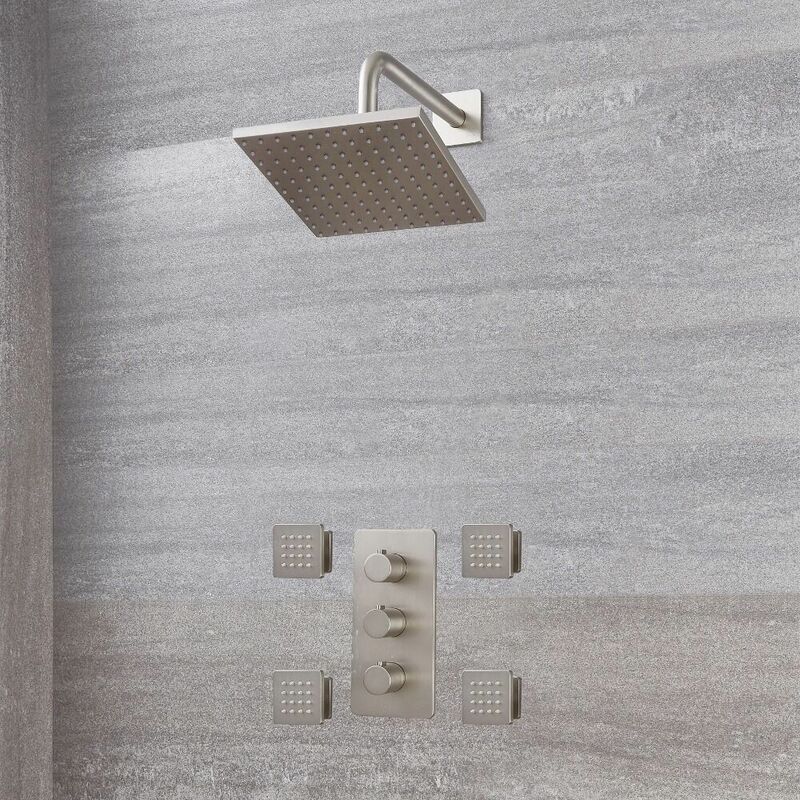 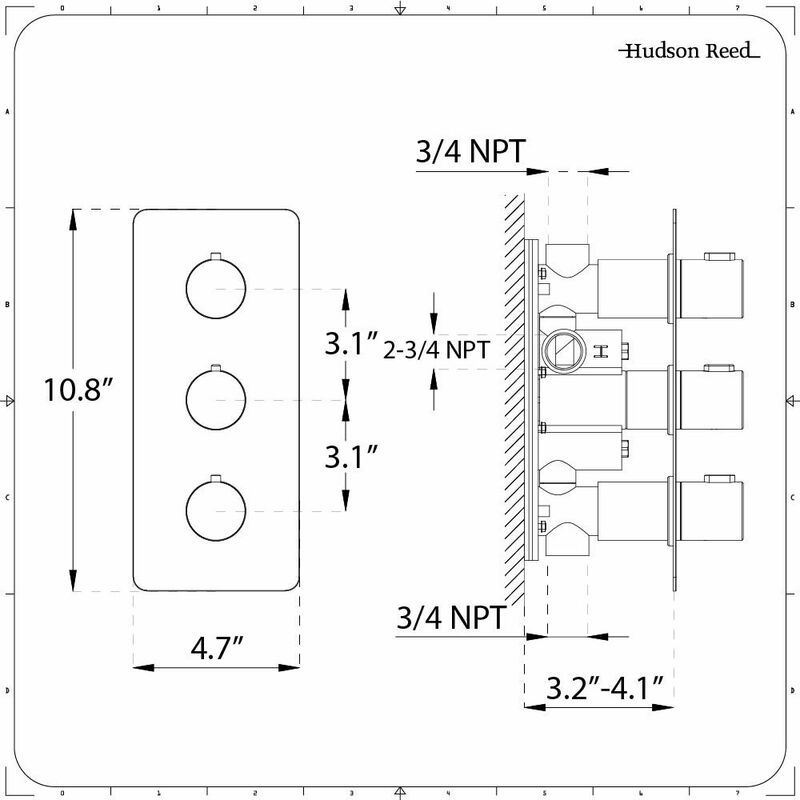 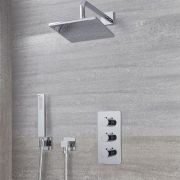 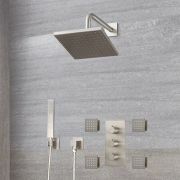 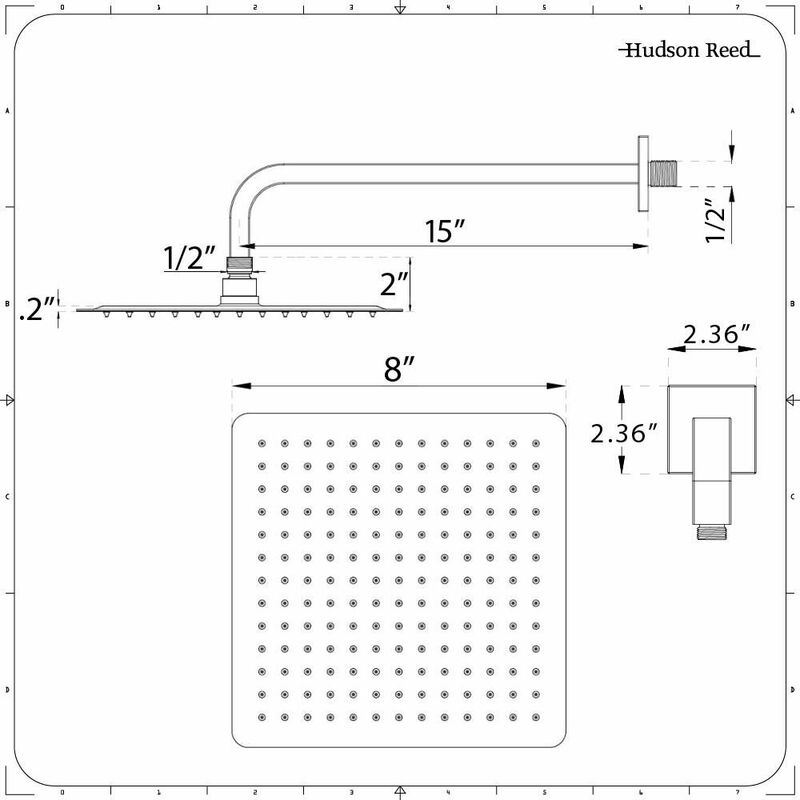 The shower system incorporates a thermostatic valve and shower arm, as well as the aforementioned shower head and four body jets, guaranteeing a superb, spa-like showering experience for the user. 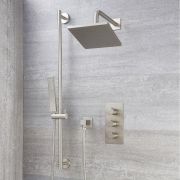 All included elements feature a premium quality construction to ensure excellent durability, and come supplied in a choice of stylish finishes – chrome or brushed nickel.